April 18, 2002 14 member crew see Ogopogo while filming a documentary on him. The picture shows a long ripple. "We saw two humps undulating in and out of the water" "It was huge, black and shiny." Its head was spewing out water. About that day Andrew Bennet was combing the calm lake at 6AM with his telescope when he saw a long ripple, a silver flash and two dark objects below. Nippon Television of Japan came to the Okanagan to search for Ogopogo at the end of February 2002. They used sophisticated sonar and tracking gear but did not have any success. Three other film makers are planning to search for Ogopogo this year. September 5, 2001, Daryl Ellis did not wear goggles in his swim of Okanagan Lake this year so as not to scare himself. Beginning at Vernon he observed something silvery and slippery and said there is definitely something very large in Okanagan Lake. This was his second swim of the lake for cancer, Ogo Chaser II, August 15 - September 3, 2001. A commitee considered evidence for the $2 million Ogopogo Search ending September 3, 2001, to go to Lloyd's of London. The video by Rattlesnake Island was not clear enough. A sonar image taken was not enough. A picture of the creature had to be dramatic and clear. May 21, 2001 Diana Sabine reported seeing Ogopogo from a campground near Peachland at 8:45pm. She watched from lake level: "I looked up and there was a hump. Then it was gone. Then there was another hump." The creature that has been sighted in Canada's Lake Okanagan is known to the locals as Ogopogo. This creature is considered the Nessie of North America. The numerous sightings date back to 1850 and still continue to this day. The creature is described as a large, dark colored animal with a long neck and a humped back. In 1968, Art Folden video taped Ogopogo while it swam across the lake. In 1976, the above photo was taken of Ogopogo by Ed Fletcher of Vancouver. On that day he chased the creature up and down the lake for several hours taking pictures of it. Ogopopo got his name from the following ditty: His mother was an earwig, his father was a whale, a little bit of head and hardly any tail...and Ogopogo was his name. In 1880 Mr. Postill sent timbers down stream to Osoyoos to Judge and Emily Hayne's ranch. They were hand sawn and made into a raft at Okanagan Center. As they were building it Mr. Postill saw N'aahitka, now known as Ogopogo, rise and watch them! This was the first sighting of the lake creature by whiteman. 1880 Mrs Allison watched Ogopogo from Sunnyside, where Vineyard Estates are now. The sun was shining and a strong wind blowing: "As I watched I saw something that looked like a huge tree trunk or log floating on the lake going against the current and not with it. She estimated it was 50 feet long and 3 feet wide and not more than a mile from the shore looking towards the Okanagan Mission, South Kelowna. "Most reports are of logs that seem to come to life and swim away." The following from Andrew Bennett: In 1975, as a kid, I saw what looked to be a the trunk of a tree 10 feet under at the top and 20 feet under at the bottom, 20 feet long. The thought it might be Ogopogo was in my mind and it appeared unusually fresh to be an old log yet I was convinced it was a log. You can see from the reconstruction at right the top and branches appeared gnawed off and the bottom a root (or tail perhaps edgewise and like a whale's? Or a flipper, the twenty feet of neck looking like a log? - a full grown Elasmosaurus has twenty feet of neck) Beavers gnaw trees along Okanagan Lake because their teeth keep growing. The wood is yellow-white. However, the part in the water is black! What I saw 25 years ago was yellow-white. The next time I looked the log was gone..
Near this place by a pictograph of a horse John McDougal in 1860 entered the lake to tow his team of horses behind his canoe to the other side of the lake. Normally John gave a small animal in sacrifice to Ogopogo. But his time he had forgotten. Half way across the lake the horses began to sink. John quickly got out his knife, severed the rope and paddled to safety. Natives tell another legend how when a horse bent down to drink Ogopogo reached up to the horse's nose and pulled him under. In 1940 Vera Earl went to see Reta Lawson, who was suffering from coronary disease, in the Kelowna hospital. Reta said to Vera "Go ask Mrs. Derrickson about Ogopogo". So Vera went to see Mrs. Derrickson, an elderly Indian in the native area of the hospital. She said "don't let them tell you there is no Ogopogo! In the early years the Westbank Indians rowed to Kelowna for supplies. This one time there were three Ogopogo's trying to tip the boat. So they turned around and went back! It was a long time before they crossed the lake again. And when they would there would be Ogopogo looking up at them! Mrs. Derrickson said she saw Ogopogo twice. The McDougal Brothers rowed a 10 foot scow to ferry from the Westside to Kelowna from 1885 to 1905. Old Mrs D.E. Gellatly, on the way up to Westbank, saw a large dark object close to shore. When she mentioned it to her husband he scoffed. And when he turned it had gone. Another time, Mrs Gellatly saw a long snake like body on the shore. She looped the tail around a post and went for some rope. When she returned it had gone. 1930 Mrs Marjorie Pritchard saw a great white wash going down the lake. The lake was calm and there was no wind but from Boucherie heading to Gellatly Point was something streaking down the lake faster than the ferry boats. She watched from the road that then went along the lake but did not report it fearing ridicule. She was convinced she saw something though. In Mary Moon's book Ogopogo, she relates in the early 1920's it was recalled that early white settlers spoke of a Native rock painting showing a fish like animal standing upright. She also relates Captain Thomas Shorts, skipper of Mary Victoria Greenhow, came across a huge bone in shallow water while landing a rowboat. It was taken to the Victoria Museum where it was identified as a whale bone from the animal's back. It was taken to Vernon and to be displayed in 1920 but has mysteriously disappeared. 1940 James Earl and his son, Dave, landscaped the McClaren property in south Kelowna. The elder Earl looked up and saw an object moving, jerking, forward in the lake. Dave said "that's Ogopogo!" There were three humps and the head looked like a sheep's head. 1941, summer, children swimming off of the Penticton beach saw a long object swimming beyond the log buoys. Brenda Vollans(Walde) was eleven at the time and she remembers it being about thirty feet long and thinking it was a big snake. One of the children ran to get an adult but by the time they arrived the object had gone beyond the pier. On a typical Okanagan afternoon in the summer of 1932 or 1933 Henry Murdoch was practicing for the Marathon swim at one or other Valley regattas. He planned to swim from the Point where the Maud Roxby Bird Sanctuary is situated to the dock at the old Eldorado Hotel. His pilot boat was being rowed by John Ackland, one of his best friends. Everything was going fine with Henry, swimming about twenty feet behind and slightly to the side of the boat. When they were off the south end of "Boyce's Field" (Cedar Avenue), John rested his oars and bent down for a few seconds to light a cigarette. When he looked up, Henry had disappeared! At first, he thought that Henry was playing a trick on him by swimming up and hiding under the boat. Very soon, he realized there was something wrong so he searched the clear, eight foot deep water, frantically for 20 minutes before rowing to shore and running to the nearest phone to call the police. Within two hours there was a search party out with several boats dragging for the body and swimmers searching as best they could. The search continued for two days but Henry's body was never found. Henry had been the lifeguard at the Eldorado Arms Hotel and was considered at the time the strongest swimmer in the Okanagan. All very strange when you consider that the water was very clear and shallow and there was no discernable current in that part of the Lake. It was about the middle of August in 1936 that Andy Aikman and I saw the Ogopogo. 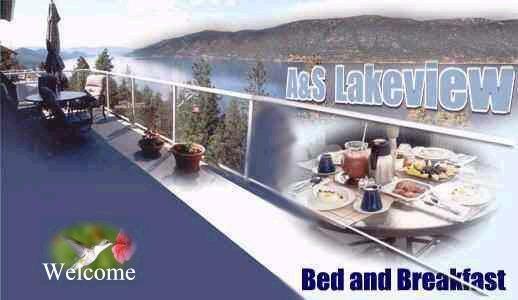 Andy was fifteen and I was thirteen but we were no strangers to Lake Okanagan. I had lived on the lake shore since the summer of 1929 and the Aikmans lived just one block away. We were both Sea Cadets and had spent every possible hour since pre-school days swimming, boating, and, in the winter, skating on the Lake so we knew it well and we definitely did NOT believe in the existence of any lake creature. Back to mid August 1936 -- We had heard a rumour that Mr. Crighton of Okanagan Mission had been catching sturgeon a couple of miles south of Cedar Creek so we'd decided to go down from there, in Andy's old spread Trapper's Canoe, to camp for four days and see if we could catch some. So, on a very hot, drowsy, completely calm and windless afternoon with flies buzzing just above the surface and groups of seagulls sitting on the water, thinking seagull thoughts and waiting for the Kokanee to start running, we were off the mouth of Mission Creek, one hundred yards from shore, heading south to the Cedar Creek campsite. I was rowing (you did row and not paddle this strange craft) when Andy, sitting in the stern of the boat, hooked a fish! I shipped the oars, reeled in my line, and netted his fish for him. We were both excited at actually catching a fish - a rare event in those days - and had no thoughts of Ogopogo or anything else. All this activity took perhaps two minutes and during this time we had silently drifted to within twenty yards of a large group of seagulls. Suddenly, they all started to screech in terror and took off from the surface as straight up as a gull can go! Following them was the head and neck (or body) of a large creature! When they'd reached the height of about fourteen feet the creature grabbed one of the gulls in its mouth and disappeared back below the surface, leaving only a few ripples on the glassy surface of the lake! The whole incident only took a couple of seconds! It started all the other gulls within hundreds of yards flying and screaming! O.L. Jones, later our M.P., had a summer cabin just south of the Creek and the Jones' children, who were friends of ours, came running down from the cabin to the beach to see what the noise was all about. Andy and I were scared to death and gave up our great fishing expedition right then and there! We spent the night as far up from the lake as possible on the Jones' beach, and headed for home the next morning. The whole sighting was more or less a blur of movement and high pitched sound and I cannot say exactly what the creature looked like. I do remember though, that directly following the incident, when asked the size of the creature I said it was about as big around as a "telephone pole", and that the color was "dark and fishlike". When asked if it had a head like a horse, as in most drawings, I said "no it was more like a cow's". It might be of interest that the next time Andy and I were that scared was in 1942 on a cold, still, dark December night in the north Atlantic. He was the Officer of the Watch, and I was a Cadet, doing my trick at the wheel. We were singing "White Christmas", the big hit of the year, in very bad harmony, when the tanker in line ahead of us - perhaps one hundred fifty yards - was torpedoed and exploded into a mass of towering flame. We never harmonized on "White Christmas" after that. Which was perhaps a good thing. The captain of this ship remarked Geoff Tozer was the only person he knew who had seen Ogopogo and the only bigger liar was Andy Aikman! 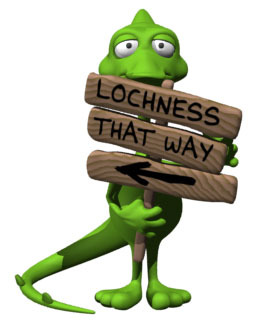 Geoff added "I am not lying though, I really did see Ogopogo". 1953 - Brandy Rankin related to me her grandmother, Diane Rankin, saw Ogopogo when a child. The family was out at a cabin on the waterfront in Peachland when her father called. They saw humps out in the lake. And when Ogopogo submerged big waves came into the shore. Brandy's Great Grandfather, Fumerton, had said he had seen the head. An elderly woman reported to Miss M. Shukin of Peachland that she saw Ogopogo as a child. She was out out the lake with her mother when he appeared. She was very scared but her mother told her to stay still. And they sat and watched him. 1968 - Jamie Demetric told me his aunt Norma Freeborn saw Ogopogo 30 years ago. She claimed she saw an unusual shape swimming in Okanagan Lake and believed it was Ogopogo. 1949, Dr. Underhill and family were called to the beach to see Ogopogo by their neighbours, the Kerry's. Lois Bennett (Underhill) relates the following story: "The lake was calm and two hundred yards out there appeared several humps moving up towards where the bridge now is. At times there were only three humps thirty feet in length. There were no motor boats, and the one boat that was in the Okanagan wasn't out." Dr Underhill said he was convinced that through his binoculars he could see two Ogopogo's. Mrs. Underhill (Mcleod) told me the tail was like a whale's. The Kerry's reported "The angles of the two Ogopogo's was quite different. The first one was parallel to the shore and moving north and south in only six feet of water, there was no wave or ripple but a slight rolling swell, and the later view was of it in the middle of the lake moving towards the northwest. It appeared that the object was feeding on the (lake) weed." 1973, summer, the Bennett's and the Ritchie's were heading north on Okanagan Lake past Poplar Point at 30 mph about 11PM. In the headlight, they saw a large object about 4 feet high and thinking it was an overturned boat they turned around to look, but there was nothing there! Another time Kevin Bennett, water skiing, was waiting for the boat to pick him up. When they did, they told him something large had been heading towards him. 1975 the Refiner's of Westbank saw Ogopogo from their home overlooking Gellatly Bay. Mr. Refiner is not sure of what he saw but Mrs. Refiner is certain what they saw was Ogopogo. They were interviewed last year by an Ogopogo enthusiast who spent the summer on the lake and hopes to make a film. 1975, May, the Proudfoots, sitting down to supper, commented on how calm the lake was. Then 500' out from Gellatly Point there appeared three humps and the water just churned. Quickly Mrs. Proudfoot called Helen Gaigg, the Lakeshore Villa next door, to come to the window and see Ogopogo. When Mrs. Gaigg arrived there was a large round wave. But the Proudfoots were sure they had seen Ogopogo. Mrs Gaigg also remembers when the Illichman's said they saw Ogopogo. They were out in the lake and a large round green object surfaced nearby. Bruce Shepard from B.C. Fisheries tells me he has heard some scary experiences of some of his staff out on Okanagan Lake at night. One time they went out into Okanagan Lake and let down a tow rope to measure the depth. Nowhere near bottom it stopped going down, indicating it had struck a large body, then proceeded to lower. Another person from Fisheries reported seeing Ogopogo. They told him to go down ~100 feet and turn off his lights and look up. Soon he saw a dark object cross his view. 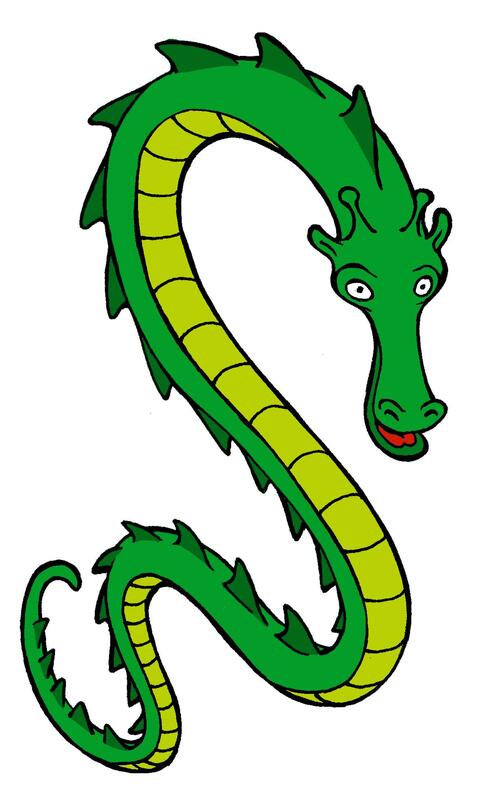 (Ogopogo is observed to have a lighter, even white, underside which might make him less obvious from beneath) When he got up to the surface, they told him they had seen Ogopogo. 1988, summer, Allan Skarbo of Peachland and friends were enjoying an afternoon out on the lake in his new house boat. Dan Kerr's captain's cap blew off and a visitor stripped his jean shirt off and dove in to get it. Next thing they knew he was in trouble. He just sat there staring with a very scared look. They threw a life preserve but he didn't even reach for it. Dan Kerr dove in to help him but when he got to where he had seen him, he appeared to have moved. So Dan dove under to him three or more times but never reaching him. The police were called and a report made. It was noted he was a strong swimmer. An under water camera was brought from Vancouver but they never did find his body. (There are several unrecovered bodies in Okanagan Lake and 30 drownings a year in the Okanagan. These are all due to boating accidents. Some 60 people drown on BC's west coast each year also from boating accidents. There have been only about 5 'mysterious' drownings in the last 100 years, and Ogopogo may not be responsible for any of them either.) Afterwards they looked up were they had been and noted they were in some of the deepest water of Okanagan Lake just north of the Peachland Marina. Allan Skarbo sold his new houseboat and never ventured on the lake again. 1977 - 1987, Jake Heppner spent most of his retirement fishing on Okanagan Lake. I asked Bill Stubbs if he had ever seen Ogopogo. He told me he hadn't but his fishing friend Jake had. Bill said Jake had pulled up his boat to what he thought was log. He went to get his fishing gear and when he looked up the log was gone. Go see Jake... So I went. Here is his story: As to the exact date and time when this incident happened, I am not sure, but it must be around 20 years ago when I moved to the Okanagan and started to fish for Kokanee. Of course, I had not expected to meet up with something that I heard of only by hearsay but I was very much surprised to see the Ogopogo from such close range. One thing for sure, it did not resemble what I had been lead to believe. That it was long and something like a serpent became very obvious to me at such close range as I saw it. I was keeping my mind on fishing and also making sure that I was not getting into the way of a fellow fisherman. When, I saw something approaching me quite a long way off. I was wide awake. There was no one else in sight. It left a big swell behind it and was mostly submerged. It was not a boat or submarine. What surprised me the most was that it kept approaching my boat. By this time, I had shut off the motor and was reeling in the fishing line. What seemed so unusual was that it kept right beside my boat. It was something I had never seen before from such close range. There was no snorting noise or unusual activity but all at once, it submerged very suddenly. Since it was less than ten feet away, it did make quite a commotion. I had to really hang on to both sides of the boat to steady it but it had gone down and I did not see it again in the vicinity. The Ogopogo had left me completely and I was not harmed. I do remember some markings along its back. There were brownish coloured lines along its back about 8 or 9 inches apart and it looked like lines connecting them. In the spaces connecting the lines, there was yellowish tint or color. But there was no suggestion that it had scales or humps, just a smooth skin. Since the head was submerged during all this time that the back area was exposed and I did only surmise that this creature must be at least fifty feet long and must have a girth at least as big, that in no way could it have fit into a 14' fibre glass boat. The boat would have sunk for sure with the weight of it. I have met up with Ogopogo many times since then even seen three of them swimming together in formation side by side. One thing, I have noted about them, is that they are seldom seen, if ever, when there are noisy power boats around in the area. When you are fishing with a small boat, you are more apt to see one. Signed Jacob J. Heppner. Here are some more accounts related to me by Jake: Ogopogo came toward him and passed going for all he was worth. Shots sounded from a nearby house boat. No wonder he is seldom seen! These people aren't needed in the Okanagan! Another time Ogopogo appeared heading for Jake's boat then submerged. Jake hung on to keep from capsizing. One memorable occasion Jake had his friend Rudy Grunaw along. When Rudy saw Ogopogo he said in a loud voice "I want off the lake now!". Jake explained Ogopogo never hurt him, but Rudy would not be persuaded, and home they went. In a close encounter, Jake describes the skin as a diagonal pattern of yellow and brown, in eight inch squares. Often Jake encountered him feeding on the lake weed. Whenever Jake saw a huge swell, he was sure it was Ogopogo. Snakelike is the word he used to describe him, being more than a few feet wide at the middle. Often they traveled 3 in formation. 1985, summer, Carol Pattenaude relates the following: While driving on Highway 97 from Westbank to Peachland, my boyfriend and I spotted something on the water, the more we looked the more curious we became. The object was moving quite fast through the water and had a long stream behind it, making it look like a tall boat. We watched for a few minutes, talking about what it might be only to have it totally disappear below the surface. What was it??? Signed Carol Pattenaude. 1989, summer, Laurie S. witnessed a long object moving by the log boom at Bear Creek. She quickly called her dog in from the lake for fear of his safety. 1995, summer, restaurateurs on the waterfront in Peachland claimed to see Ogopogo across the lake. One lady could see a long neck and head as she looked through binoculars. 1997, April 3, Ogopogo was sighted from Kelowna's City Park. Two men watched for an hour. He was described to be 50 feet long and 5 feet wide. 1997, July 7, a woman coming down the hill onto the bridge reported seeing 4 humps. She says since seeing the Ogopogo a long time ago with her husband she has always looked for him there. 1997, July 13, three people on a houseboat reported seeing a 30 foot geyser beside the boat. Underneath the water was a large dark object. It has been suggested Ogopogo may be a prehistoric whale. To them this was the only explanation. Bones taken from Okanagan Lake in the 1920's and identified in Victoria as whale bones may indeed have come from Okanagan Lake. The Kelowna Children's Water Park in the Kelowna City Park features Ogopogo spouting water out of his nose. The following may add to the story: "It was on the 4th of February, 1932, when Captain Joseph B. Weeks was taking his steamer the "Sicamous" down Okanagan Lake. About four o'clock in the afternoon, his Chief Officer called his attention to what appeared to be a column of vapour about sixty feet in diameter and about 150 feet high, rising out of the lake. It was about half way across the lake at Gellatly Point and, when first seen, about half a mile from the steamer. It increased in height slowly and when it stopped rising higher, it seemed to waver for a short time and then slowly sank back. It was about four or five minutes from the time they first saw it until it disappeared. It seemed driven up from the center as if shot up by a jet of gas escaping from the bottom of the lake." Others have seen such outbursts of gas, and further, in still weather there is frequently heard the "plop plop" of minor gas explosions from the same area -- on the east side of the lake from Westbank or Gellatly Point. Randy Nagel photographed spray shooting up from the lake at the north end by Carr's Landing. The wind was blustery that day when Randy zoomed in with his camera. His picture is in Arlene Gaal's new book on Ogopogo. The suggestion is the rising gas might be bubbles. A sonar image seen by Mike Guzzi's fish finder, at the time of the Japanese expedition here, showed a head, tail and body with bubbles coming up off the head. Orca's blow bubbles so a new born whale can get its first breath on the way to the surface. However, a fault runs down the middle of the lake and many dormant volcanoes line the valley sides. Possibly the escaping gas was escaping volcanic gas from below the fault. August 1997, Ogopogo was sighted by Carr's Landing, North End of Okanagan Lake. An underwater camera was purchased September 19, 1997 to search for bodies in Okanagan Lake. There are about 6. It was even said the camera might be used to look for Ogopogo! Heading back down Bear Lake Main from hunting, I commented to my hunting partner, Terry Horton, on how calm the lake was. It was just like a sheet of glass. I had said I should have brought my camcorder. As we came down to Westside road, I asked Terry if he could see a boat on the lake. No, he replied, Why? What is that on the water? I asked. It was a long wake or almost like a very long log. At first, we thought it may be a log-boom, but for the length it was too straight. As we drove along Westside road we both noticed it was moving. So I pulled over just above the log-dump by Bear Creek. We both got out of the truck and looked with our binoculars. It was very clear out and, as mentioned before, the water was perfectly calm. We saw an object moving towards the bridge, about 1/3 of the way across the lake. I asked Terry if he saw something or was it just me. No, he said. There is something moving. We watched for 10 minutes and on two occasions it seemed to be breaking water or coming up. It could have been humps. I estimated we were about 2-3 miles from it. But both of us have good binoculars. The speed of this would have been about the speed one would troll at when fishing. I estimated the object to be 25-40 feet long. It was not a boat. Nor a large bird. I am now fully convinced that we do have something of considerable size in our lake. Spring 1998, there were two sightings of Ogopogo in the Vernon area a few in the Kelowna area. Following from Andrew Bennett: July 4, 1998 - a group of friends and I rented kayaks from Summerland and paddled up to a private wharf. We had just docked and there was a swell 10 feet from shore. (Jake Heppner was sure whenever he saw a swell it was Ogopogo) I looked close and it appeared like a beige rolling carpet bending four feet around, then black - the color of the water. Everyone looked. Some said it was just a beaver, others were not so sure. "It (Ogopogo) is usually reported as dark blue, black or brown with a lighter underside". -- reconstruction of following observation - note dark line below in about the same vicinity. Ogopogo is reported as black from above the water. That summer I observed a yellow strip in the lake. Took a closer look through my telescope at 230X (and saw what looked like a 40 foot long object 100 feet away) and saw a long yellow-green object just below the water. Was Ogopogo sunning himself? May 5, 1999: Donna M. and Kathy M. were driving down Gellatly Road by the Gellatly Cemetery about 1PM when they notice whitecaps in the middle of a calm lake. There were no boats in sight and this white swath was traveling 1 kilometer out from Gellatly Point towards Kelowna. They pulled over and watched for some time. There were 3 white waves moving in a strait line up the lake (opposite of wind tossed waves). 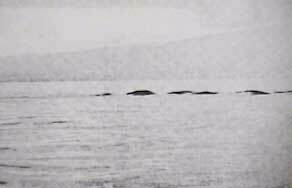 They were moving very fast and the object appeared to the viewers to be very large (possibly the 3 waves were 3 Ogopogo's?). The swath had moved a considerable distance between reference points. A motor boat approached from the north going south. The white froth disappeared before the boat. They watched and compared the wake of the boat to the white swath and determined they were very different. Here is a story from the Shuswap Lake just north of Okanagan Lake: One sunny August day about 1970 our family had gone to Sunny Brae on the north shore of Shuswap Lake to have a picnic and celebrate our youngest daughter's birthday. After a pleasant afternoon of swimming and sun-tanning, full of fried chicken and birthday cake, we piled into the car and started home. Soon my husband noticed waves coming onto the shore and expecting to see only what he had thought to be a log. We were traveling about 35 miles an hour but to our amazement so was the "log". Upon closer examination we found this log was really a greeny-grayish snake-like creature. About 30 feet of his body protruded from the water. He had no scales or humps on his back that we could see. We stopped the car but soon he slipped beneath the waves and disappeared from sight. There were several other sightings of him that summer. Several years ago a skeleton about 20-25 feet long washed up on the shore of Silvery Beach. This lake creature is known as "Tazama" - Water Bear. Also the Shuswap and Okanagan used to form one large lake. This is where our Kokanee came from and probably our Ogopogo. It is a known fact that a plesiosaur like animal exists in Africa. Taxonomists are struggling to classify an animal which washed up dead on the shores of Lake Mankalla, Zimbabwe in March, 1995. Results of preliminary studies of the animal were published in the January 1996 issue of the South African Journal of Science. The creature in question is described as a "Quadruped, whose feet have evolved to form flipper like appendages which evidently propelled the animal through the water as they would be almost useless on land." The article goes on to state that the animal's skeleton, "though smaller than that of a prehistoric plesiosaur, bears a striking resemblance to fossilized specimens of those animals." The remains of the creature are currently housed at Witwatersrand University. Specialists from several universities and scientific institutions are currently at Lake Mankalla, searching for living specimens. A search on Plesiosaur can be a very interesting study. Ogopogo is protected by Federal Law under the Fisheries Act: "No one shall hunt, kill fish or marine animals by any means of rocket, explosive materials or explosive projectiles or shells." Ogopogo is specifically protected under Provincial Law under the Wildlife Act. Endangered Wildlife in B.C. - How to Contribute Data to the CDC Shouldn't Ogopogo be included? Save Ogopogo! Many thousands of Kokanee are dying. What about Ogopogo? Hydrophone sampling in Okanagan Lake. Can it be Ogopogo? Real Audio The Elasmosaurus was a plesiosaur that grew to 50 feet long and may have made similar sounds. The Elasmosaurus fed on shrimp and fish. There is lots of shrimp in Okanagan Lake. While netting shrimp Fisheries discovered a hole in their net - Ogopogo? Mountain Road Productions will be airing a 13 part series on 'Canadiana' over Roger's Cable. There are many many lakes with legends of a lake monster. There are some notable legends from Asia. Some Canadian lakes: Kootenay Lake, Shawnigan Lake on Vancouver Island, Cultus lake out of Vancouver, Nicola lake by Merritt, and Muskrat lake near Ottawa to name just a few. This site www.ogopogosearch.com had "From August 1, 2000 to September 3, 2001, had offered a $2 million reward to any person finding alive and definitively verifying Ogopogo's existence." You will need a free permit. Check the website for locations nearest you. However, Fisheries state anyone using any device to actually do this must (also) obtain a permit from the Department of Fisheries and it is unlikely permission would be granted. That makes obtaining definitive proof legally very difficult. Fisheries did indicate a purely scientific study may be ok. However, one method that might work would be to do what Daryl Ellis did; swim up Okanagan Lake with a spotter boat in hope of filming him, perhaps befriending him.